Do not close your Loans - If you want to improve your credit score! There are many people who are paying their previous loans, but when they apply for some new loan, its getting rejected because they have some bad credit record in past either due to settlement of some debt or because they have a bad payment record. This creates a very frustrating atmosphere, where you want to do something which you instantly make you a “good” customer. A big myth people have is that just because they have a loan going on, they are having a bad credit score, and because of this myth, they want to close off their existing loan. I was holding two home loans since 2000. I am a well paid professional drawing good salary, however due to frequent transfers my Post dated cheques were not replenished resulting in non-payment for over 6 months, Also due to some signature error a few times, cheque bounces happened, but they were repaid and corrected . I dont posses any credit card. only debit cards were used regularly for any financial transactions. 6 months back a personal loan enquiry got rejected due to very bad credit score ( 450 only). so immediately I wound up all the loans ( 4 months ago). now I am loan free and no credit card holder. how long will it take to recover my credit scores ? You would see how Nagarajan closed his loan thinking that his loan eligibility would increase because his credit score will improve. However what he did was totally wrong and the right thing was to just continue paying his existing loan. Lets see why. If you look a little deeper, you’d realize that your existing EMI payment is one of the only ways you can showcase your repayment capability. When you make EMI payment on time, this information is updated to credit bureau (CIBIL etc) by your existing lender and if done on a regular basis, it affects your credit score in positive way and also improves your credit report . Your Days Past Due (DPD) section in CIBIL report also gets positive because your recent information for last 36 months is there in the credit report. So now I hope you are clear about the importance of paying your EMI on time on regular basis. Its one of the only ways you can build your repayment record and improve your credit score. Do you have a credit card or some kind of loan? If yes, then it might make sense to keep paying their dues on time just for making sure that you build your repayment history! Can you share some thing related to this from your financial life ? i have a Home loan from SBI sadar bazar agra branch with IFSC Code SBIN0002467 only 6 years are remaining for completions in loan..
What should I do can i foreclouse my loan or complete tenure of 6 years. Nonsense, this is trick of the banks to make you pay and live on debts lifelong. If you have no loan, there should be no CIBIL Score. If you have Loan please pay your all EMI’s within the Date, Its automatically improve your quality score. I got a Query. Just wanted to clarify it with you after reading the article. I was having Study Loan of amount 1.7Lac. i had paid half of the amount. the other half bank manager is asking to settled and close it. Can u please tell me will it affect my credit score if I am going for settlement. Yes, its going to impact your CIBIL score. Please check with manager about the status remark which will be updated in your CIBIL ! i have credit card and one twoweeler loan going on. only one payment overdue pending in my twoweeler loan but i plan to apply personal loan coming agust so what i did to in crease my cibil score. option 1: paid that overdue amount and continue my loan EMI or option 2 : precolse that loan. Which is best?. My credit card fully utilised and paid minimum due every month. I suggest both things if its feasible for you, or atleast pay the over due amount ! My Cibil Score Is 659.May i get Personal loan from Axis bank? Only Axis bank can tell that with assurity! I have taken a personal loan.. that will continue for 3 yrs . Bank told me I can preclose after 6 EMI and I have completed 6 EMI.. I have money with me now and if I preclose it now, will it affect my CIBIL score ? and I will be in need of loan in coming year, will it affect it if I preclose it ? It will not affect your score. go for it ! I have a bad CIbil score 690. My loan got rejected. Is there any possibility to increase cibile score by making a 4 or 5 emi as one payment ill it increase score? I dont think there is any shortcut for this as of now ! Hi, I just got my CIR from cibil. I have defaulted 2 credit card payments for 4 months(mar to june) continuously in 2014. But my score is 792… will I get a loan of 4lacs. 4. Closing/settling down this previous home loan will have any side effect on me? I have credit card outstanding of 2.5 Lacs and paying interest of 12.5k per month.. now I want to close this outstanding by taking personnel loan. And parellelly one personel loan is running. But I have paid loan and credit card min dues on time since one year. Whether this heavy credit card outstanding leads to my personnel loan rejection.? Whether banker considers the credit card outstanding also? Definitely it can lead to rejection. You are anyways defaulting on one payment, which lender will take the risk of giving money for this ? I am not saying with 100% surety, but try your luck , you might also get the personal loan, but I personally doubt it ! . A better option is to talk to your credit card company and explain them that its getting difficult for you to pay it and soon you might default , hence they should just convert the whole money to EMI and that way you would pay it soon in some years ! Let say I have taken a loan now.. that will continue for 3 yrs . But the purpose for which I took loan is resolved. I have all amount with me I want to close loan after 6 mnts ( As I can close after 6 months only ).. So is it better to continue till 3 yrs ??. I agree with you that paying your loan EMI on time definately improves CIBIL score. There is only one purchase in life that one should take a loan out for. It is to buy a house, since it’s price is most likely to be a few factors larger than one’s annual income. Anything else, including a car, save up and pay cash. Because paying long drawn out EMIs is the worst way to remain a slave to the banks (or any lender) . 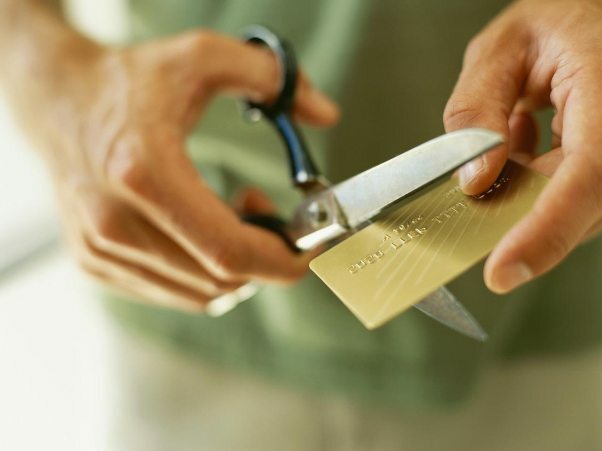 If using a credit card responsibly, ( i.e. paying off the balance every month) improves your chance of getting a good credit score, and thus get a decent rate for a home loan, then that is the only reason to care about credit scores. 3. Do not ever care about your credit score again. Thansk for your views on this topic ! Senthil your generalized view is not true in all cases, it depends on the individual and the situation too. Suppose I have full cash to buy a car but the same time if I get a good auto loan deal from the dealer say for 2.99% or 5.99%(some times I have seen/heard dealers offering 0% offers too), then I can park my lump sum money in a FD or other avenues where I get more interest and utilize the loan. It is also the same case with home loans there are many different where you can make definitely more than your home loan interest, it is all about wise financial planning!! you all are right, but dear manish is not wrong, may be just some english vinglish, heading hooding created flutter. let us leave it and get the essence of the thing. one can go wrong ( or little off track) only when one does ( drives ) something. ?????? hey english-vinglish problem is with you and not with manish. Seeing my father paying interests for his loan in his entire employed life, I have very strong aversion to loans/house mortgages. So obviously I don’t have any credit card. I earn decent sum and we live within means. Now the question/concern I have is, should I bother about credit score? Please advise. You need to worry about it only when you need a DEBT in your life. Right now you might feel that you dont need any loans in future and can forget about these things .. but in future if you want one, then you need to have a better score and report . Ideally if you do not make any mistakes, there should not be much issue anyways ! 1. Your loan eligibility and how much amount you are using monthly. This includes your credit card and every other loan. 3. How much longer these loans are available. they take consideration of oldest account. So if you pay your home loan other loans you are good since you still have credit card. Since your credit card is many times bound to be oldest than home loan that will not be considered for considering oldest loan and calculating your credit score record. discipline rather than age of loans. Case you mentioned in the article, low score is because of non payment and it will not be removed for next 7 years. A loan is an opportunity to show the repayment record. A lot of people who have some loan to pay and they are fully capable to pay the EMI , still close the loan in one shot because they feel that their bad score will improve with that . But thats not true . By closing the loan in one shot , they are loosing an opportunity of showing to the company their capability to pay off the dues on time . I am not talking about good habits here , yes, paying off the loan early is a good habit , but if one has a bad score, paying the EMI over long term will have a positive impact on the score . Should not CIBIL impose a 7 years data transaction ban on the banks charged with money-laundering and black money hawala? Or it is also financed by those banks? Very much non-Manish type article by far. Remind me the flavor of financial gossips in office canteens. Not sure why you feel its not a regular type article. All the article is doing is stating the fact on how closing a loan in one go can impact one’s report because then one does not have any repayment opportunity which helps in building a score . note that I am not talking about pre-payments here , not am I talking about someone who already has a good score . I am talking about those who have a bad score and just to improve that score, he closes off his loan because he thinks that closing it off will help his score. Do you have a counter argument on that fact ? No counter argument on this fact. But it would have been better and accurate if the heading was like “Closing a loan degrades ones CIBIL score” or something similar. Again the heading should not matter much. Please keep on good effort. Agree with you , the heading can be better to communicate .. I think the heading and contents are apt for those who have negative credit score — like in the example you mentioned. They have no other way to improve their credit score other than continuing their loan (as he doesn’t have even a credit card). But i think it shouldn’t matter closing a loan well ahead of its term if i have a good score. Obviously we lose a lot paying interest instead of closing the loan. This is even worse if the person opted for a long duration loan (say 20 years) as he will be paying interest more in the first few years. Article heading itself is making it a generalized article for everyone. It does not seem to be only for those who have bad credit scores. I somehow disagree with this analysis. My personal experience is best example for this. I’ve credit score of 830 (I think this is good). In last 6yrs I’ve used all types of loans and none of them were continued till end of their term. Some were closed halfway through by me and some were ended before end of the term because of partial payments. I never missed a single payment due date in all of these loans. I also maintain couple of credit cards and never missed my payments. Even I used max limit of those cards several times but never missed a due date. I think credit score always represents how disciplined you are in terms of cash flow and maintaining your credit/debit. That’s simple rule I guess which will give you better score. IN this article we are talking about a case where a person has a very bad score, lets say 550 or 580 for example . He has a loan which is running and to just improve his score, he feels that it will improve if he closes the loan in ONE SHOT by paying off everything . Which is exactly opposite of what happens in reality . A score is a function of how desciplined you are in paying your EMI’s on time ,and a loan is a opportunity to show that to the debt company . Closing a loan in one shot is like loosing an opportunity . In your case, you already have a number of loans which were closed by part payments and some times in one shot, but you had other loans running to show your payment capabitlity . When calculating your score, your past history and consistency of payments are looked upon . Not sure which point you do not agree upon ? The article heading talked about the relation between credit score and loan closure. However, all I could see was the negative impact of non-payment of EMIs on time. There was no concrete evidence to suggest that pre-closure of your loan would have a negative impact on the credit score. In a different vein, I would prefer to make part payments and close off a loan rather than to prolong the repayment tenure (just for the sake of having a good CIBIL score) and end up paying huge interest on the loan. If u reduce your EMI from 20K per month to 1K per month 😀 the interest that you pay would be hardly rs 100 per month. Credit scores are all bonus and good to have unless u plan to go for another home loan. For Credit cards on an avg. low credit scores are still acceptable. I haven’t met anyone so far who got a rejection on their credit card application. So credit scores don’t really bother much as yet. The total interest paid in the first case will be Rs. 2318200 and in the second case would be Rs. 2801300. So, there is a difference of approx. Rs 4,83,100. You also end up continuing the loan for an additional period of (approx.) 3 years in the second scenario. 1. Suppose interest component on my home loan for a paticular year is 1.5lakh ; Therefore my outflow is 1.5lakh to bank. That leaves me with a saving of 35K.. If you want subtract further the after-tax return of an FD and still it will leave you with some extra cash in your hand, instead of paying bank interest.. I will as well work on closing it ASAP. Again, if you look at the below numbers they say a different story. Case I – Paying EMIs without part payment. Tell me where am I going wrong ? As per CIBIL , while calculating your CIBIL Score, your repayment consistency and track record is taking into consideration . So if a person has a loan , the EMI payments he will make over next couple of years will help him build his credit score because thats how he can show that he has ability to pay the dues on time with consistency . Now if someone who has a low score , feels that the low score will improve by paying off the loan in ONE Shot (many people think like that) , their score will improve . But thats exactly opposite of what will happen . Instead of paying the loan in ONE SHOT (not pre-payment) , he is loosing the chance to show that he can pay his dues on time , which will kill his score improvement chances . Thats what we are talking about in article . We are just stating the facts on how things work . The heading was misleading. The meaning I could interpret was that continuing with the loan is a better option rather than closing the loan. I agree that it is important to have a good CIBIL score, but definitely not at the cost of paying more interest to the bank. I am strictly against the financial institutions for their stand – “We will lend money to those who already have plenty of it”. So, it is my personal bias to pay the least interest and go for pre-closure of any loan. Sorry to say, that this time the article has a very lousy title. Reason – your article talks about how bouncing of repayment or down-payment impacts ur credit scores and longer timely EMI builds credit scores. However part payments DO NOT REDUCE UR CREDIT SCORES!!! The focus of your article is on the point that EMI builds a positive credit score as u are timely paying ur dues and DPD is very low or ideally 0. But if u keep the same tenure and keep reducing the outstanding amount u can still build a positive credit score. Additionally, if the same person intends to take another loan, down payment only helps. How ? Because instead of 1 EMI he has 2 EMIs on a monthly basis which he is paying on time. Infact by down payment on the prev. loan he just might be paying same amounts thru 2 EMIs which is BETTER THAN 1 EMI of the same amount. Not lousy but rather misleading and in appropriate. I agree to you .. In the article we are talking about CLOSING OFF the loan in one shot when a person has just started his loans . We are not talking about part-payments here . I am Vaibhav Joshi. I have taken home loan of 20 lac in last year and till now repaid 3 lacks in intervals of 2-3 month. I have following questions related to this. 1) Am I doing a mistake? 2) I requested to reduce my term keeping EMI constant. Will you suggest EMI reduction instead? From my personal experience I would say you are doing right. 1) No, its not mistake. You are doing right. 2) I don’t see any reason to request to reduce term, it happens automatically based on your EMI, outstanding loan and interest rate. Don’t reduce EMI as well, if your cash flow allows then increase it. 1. You might have saved 1.5lakh atleast in the overall interest by pre-paying. It’s a great thing. 2. Don’t ask for reducing EMI.. I would say even don’t ask for reducing term.. Bank’s normally hate doing this.. Just keep pre-paying as per your cash flow and when you reach the last EMI, go personally and close the loan to collect your papers. You are doing excellent, since pre-paying will reduce the total interest outgo to a great extent. If the EMI is constant, then how the bank can reduce the term? Can you explain? Is there any change in interest rate? 2) Is in reference with down payments. If you make any down payments either EMI can be reduced keeping the tenure same or vice-versa. I was advised by the Banker himself, to keep making down payments and ask for reduction in EMI. I know here you will say that I will be paying more interest. HOLD ON and read further. If you were paying 40K initially before EMI reduction then allocate the same amount for down payments subtracting the new EMI. By doing so u will be reducing the interest portion at a higher rate as compared to reducing the loan tenure. This is because the Int. is calculated in such a manner that u pay the major chunk in the initial few months of the loan. Agreed that whenever u make part payments then again it is re-calc. But overall u save much more by this approach. As a bonus, incase of any financial crisis you will have more disposable income with you incase u need without any compulsion for higher EMI payout. First of all, I was confused by your term ‘down-payment’. The down payment is done only once to the builder and you take the home loan for rest of the amount. Here you mean to say pre-payment. I could not get your explanation. By the way, do you still believe that agents and bankers advice you correctly? The banker would obvioulsy advice what is more suitable for him. I took a home loan for 12 years and my agent was pressurising me to go for 20 years. Paying off the loan has that positive impact, but that only only then the first level of approval passes from the loan company. When you apply for loan, there are 2 levels of clearance, first is from your report and score . If your score and report is messed up, the decline will happen that level itself, but if you pass that level, then your eligibility , income etc comes into picture. I think the 2nd option you presented is better .. By prepaying he will have both the effects . He will reduce his debt which will increase his loan eligibility and also he will have the EMI’s to be paid off .. which will help him build his score.